If some one has missed to view Pakistani film “Actor in Law” he need not worry. The same as revealed in trailor of Shahid Kapoor’s upcoming movie “Batti Gul Meter Chalu” is going to repeat. Be ready the film is going to release on September 21, 2018. The major difference is movie set in rural area contray to “Actor in Law” back drop was metropolitin city of Karachi. Shahid Kapoor’s last success ‘Padmaavat’ fetched him immense accolades and appreciation from the audience and critics for his role as Maharawal Ratan Singh. After basking on the success of the film, he kickstarted shooting for ‘Batti Gul Meter Chalu’ which also stars Shraddha Kapoor and Yami Gautam in lead roles. Now with the trailer getting unveiled, Shahid is high on excitement about his upcoming film. The social drama will show the actor playing the role of a lawyer for the very first time in his career. If reports in a media portal are to be believed then Shahid is going all out and out for promoting ‘Batti Gul Meter Chalu. In fact, reports state that he has also sat down with the marketing team of ‘Batti Gul Meter Chalu’ and brainstormed on the different marketing approach the actors can take to promote the film. He has apparently been giving inputs in order to create the perfect promotional strategy which will help build more buzz around the film. The film is produced by Bhushan Kumar, Krishna Kumar, Nitin Chandrachud, Kusum Arora and Nishant Pitti. It is slated to release on September 21, 2018. 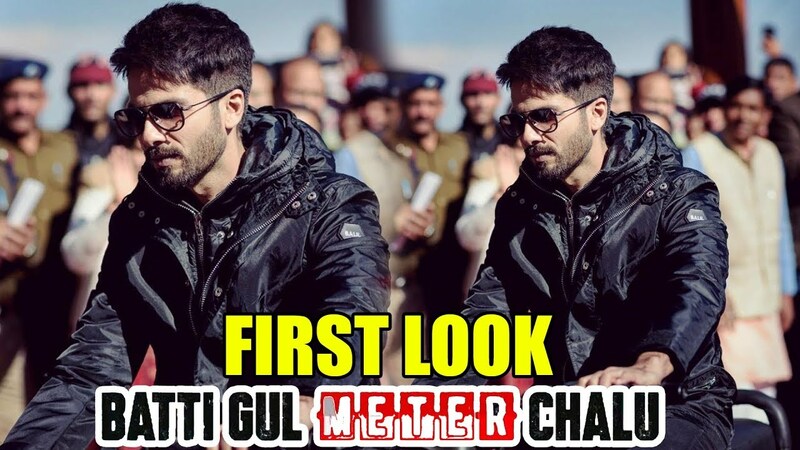 ‘Batti Gul Meter Chalu’ is slated to release on September 21st, 2018.